A group of people sat on the beach at The Mother Festival on Steart Beach near Hinckley Point nuclear power station in Somerset. 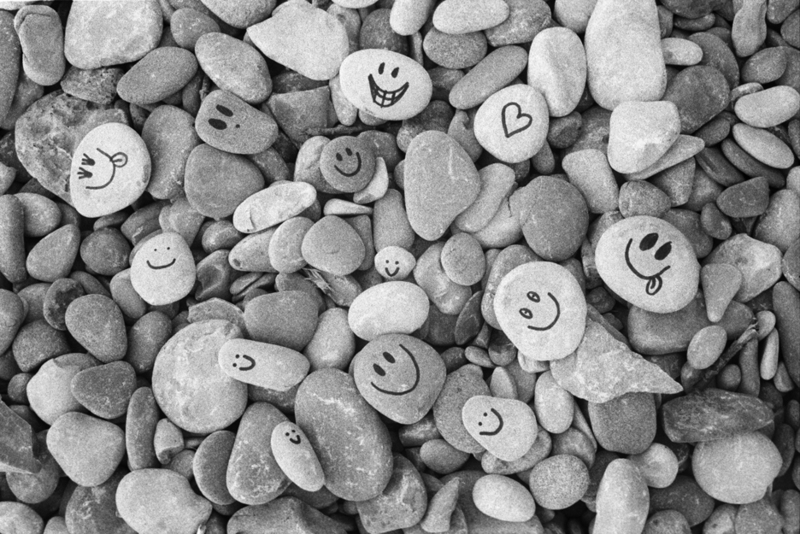 Pebbles on the beach at with smiley rave faces drawn on them at The Mother Free Festival on Steart Beach. A car that had been accidentally caught on fire burns on the dancefloor at The Mother Festival on Steart Beach near Hinckley Point nuclear power station in Somerset. 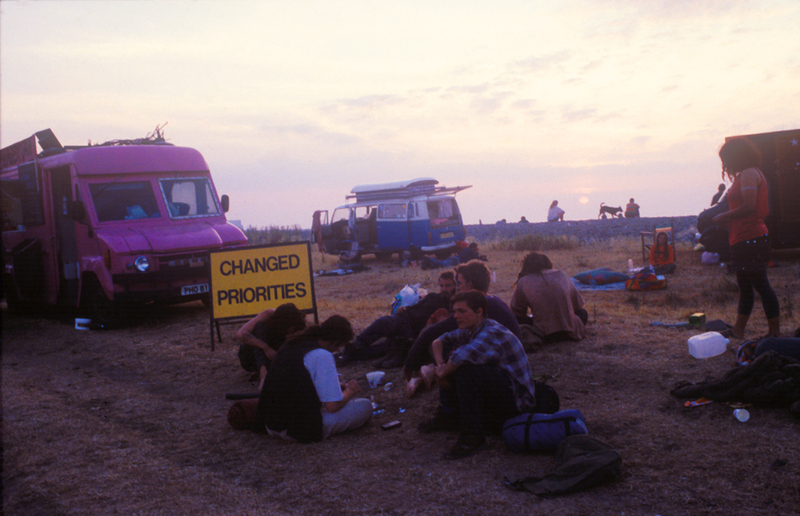 People who managed to make it to the Mother Free Festival on Steart Beach near Hinckley Point nuclear power station in Somerset camped as the sun goes down. A group of people talking to a policeman sent to negotiate and undertake reconnaissance during the road blocking of the site at The Mother Free Festival. A young lady in the back of a living vehicle on a very hot day reaches up to stroke a dove that had perched on the sill of the rear window during The Mother Free Festival. Reknaw, a punk sound system from Hackney on London on Steart Beach near Hinckley Point nuclear power station in Somerset at the Mother Free Festival. A group of young people hanging out playing drums on the beach at The Mother Free Festival. A group of young people asleep in the shade from the hot sun provided by a lorry at The Mother Free Festival. A woman dancing on her own under an open sky to the sound of dance music on the beach at The Mother Free Festival. A young lady wearing a self explanatory vest customized stroking a small terrier dog at The Mother Free Festival.